We’re suckers for new wallpapers around here, and iOS 5.1 includes four new gorgeous background pictures sized at 1024×1024 for the iPad. Extracted from the iOS 5.1 beta releases, 9to5mac found and resized the images to fit the iPhone 640×960 display as well. Many share similarities to those found in OS X Lion, the beach image looks like it’s probably from the same photo shoot as the one included on the Mac. 1024×1024? That just sealed shut the retina display rumors. 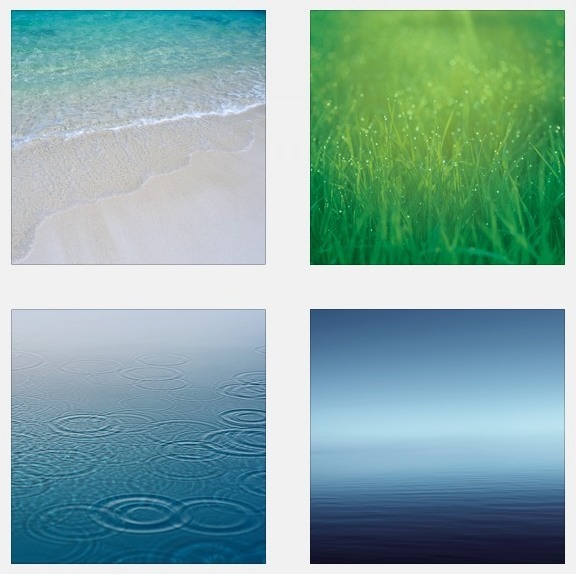 I was thinking the same thing, even OS X Lion developer previews had retina capable wallpapers of 3200×2000. Grass is nice, others are kind of boring. I’ve got exactly same feeling as you have. Grass is great, the rest seems to be from same family as previous backgrounds. Link 2 brings you to link 3 and link 3 brings you to link 2.
how does one download the iPhone ones? The iPad versions come up but nothing for the iPhone?